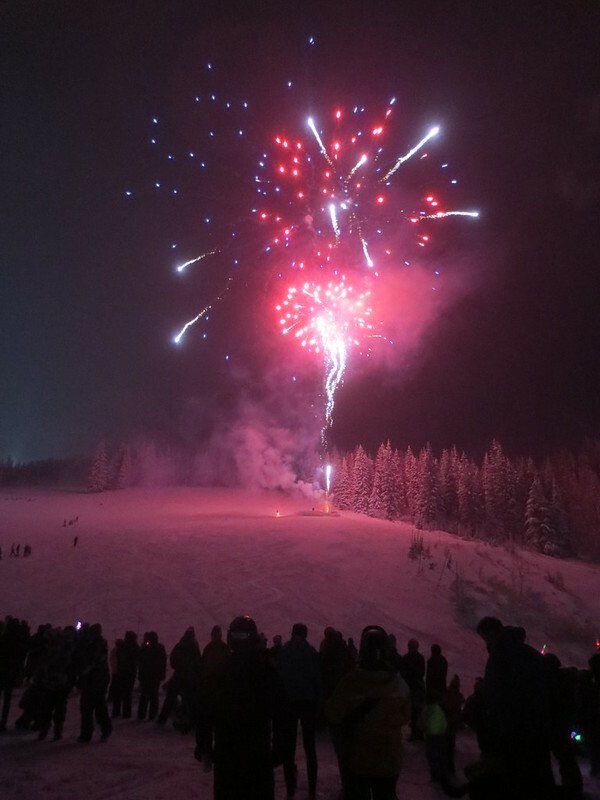 I’m on the road for a few weeks, which eventually I’ll write about, but today I’ve got a handful of photos from the last night I spent on my mountain, which happened to be during the annual winter carnival. That, and the holiday weekend, brought a lot more folks than usual up to the hill. 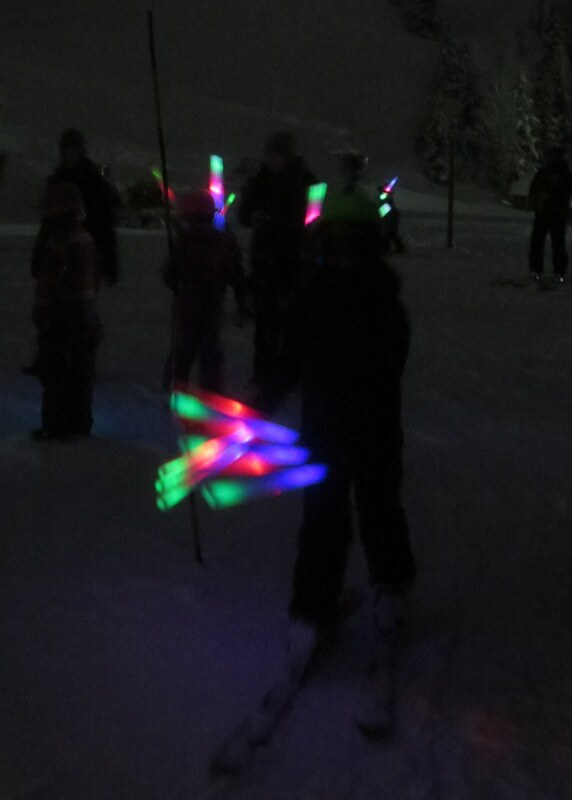 This particular evening featured a glow parade and fireworks. Mr. K and I brought our own glow in the form of the Frozen wand I bought at Walt Disney World last fall. 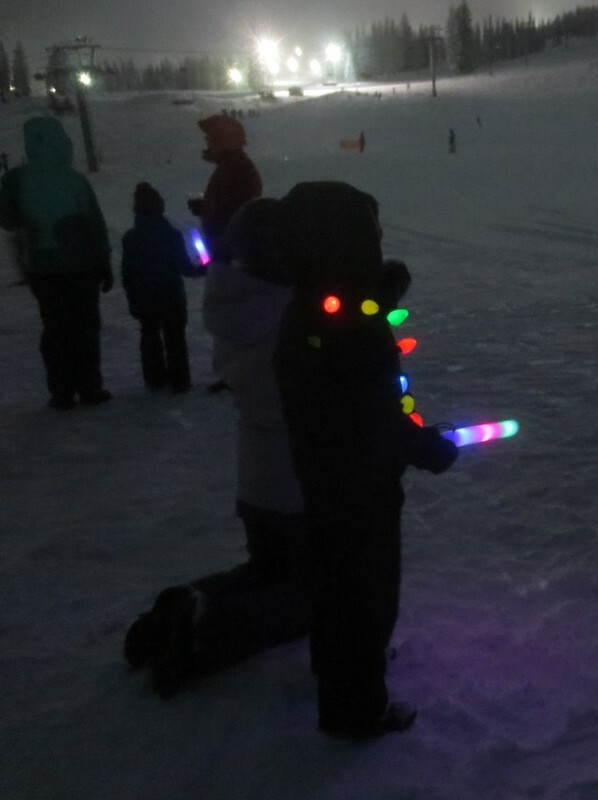 This little dude had his own light up necklace to supplement the glow wand the mountain gave out to kids (while supplies lasted). 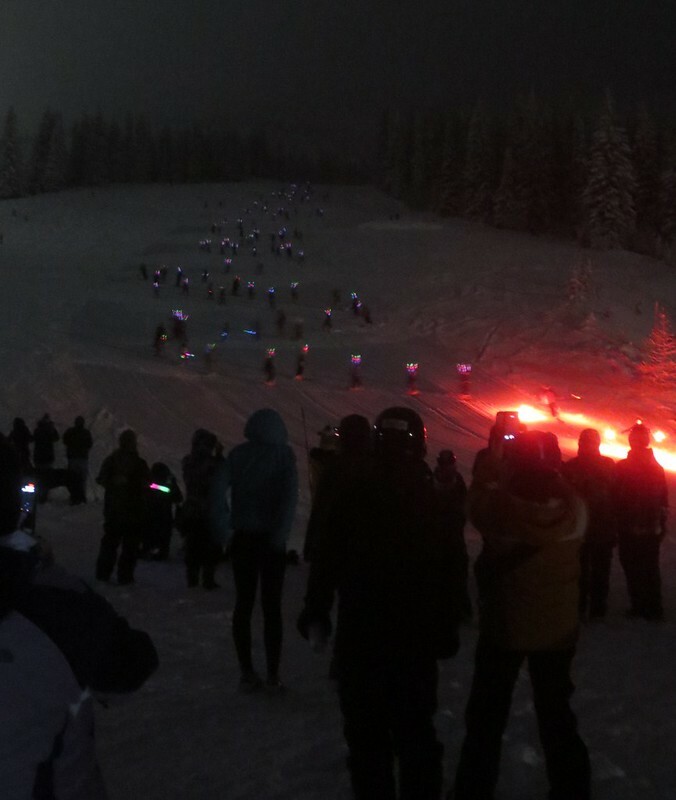 The parade was led by two ski patrollers with torches. Post-parade there were kids all over playing with their colorful wands. 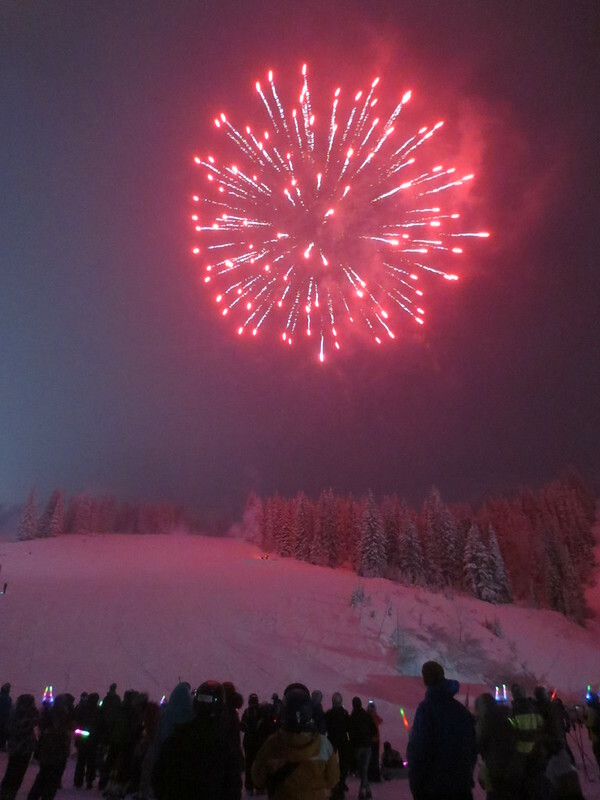 And then the fireworks started; there is no mystery about where they are being launched from. Two dudes scramble around their snow bunker lighting the fuses. 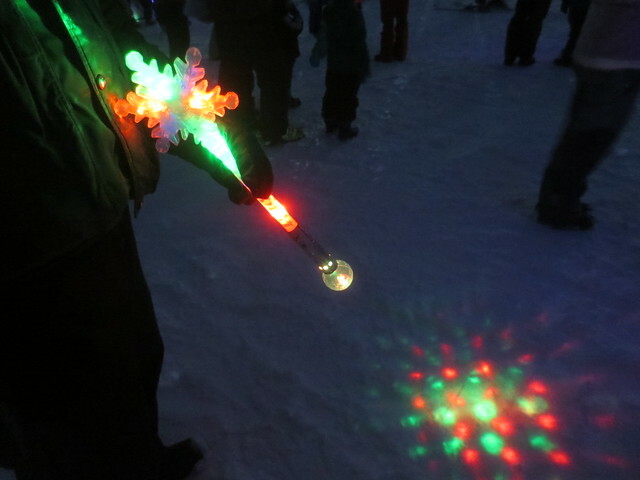 After the fireworks, Mr. K and I strolled back home, flashing wand in hand.